After I finished my new inventory list for Duckett's Grove this morning I felted a sample landscape prior to laying out the big wall hanging with the pupils in the Gaelscoil this week. I was a big concerned in case we had worked our prefelt too much, in fact everything came together nicely so I'm confident now that things will work out very well for the children. This first collage shows both the front and back of my sample prior to felting. The design is very simple (I wanted to work out the shrinkage rate), drawing is definitely not my strong point but I think that the linen, silk and milk protein fibres I embellished it with help to bring the whole piece together. Because the prefelt has already started the fulling (shrinking) process we won't need to lay out the wall hanging much larger than we want the finished piece, it's going to be big enough anyway to roll and turn so any little help is gratefully accepted. 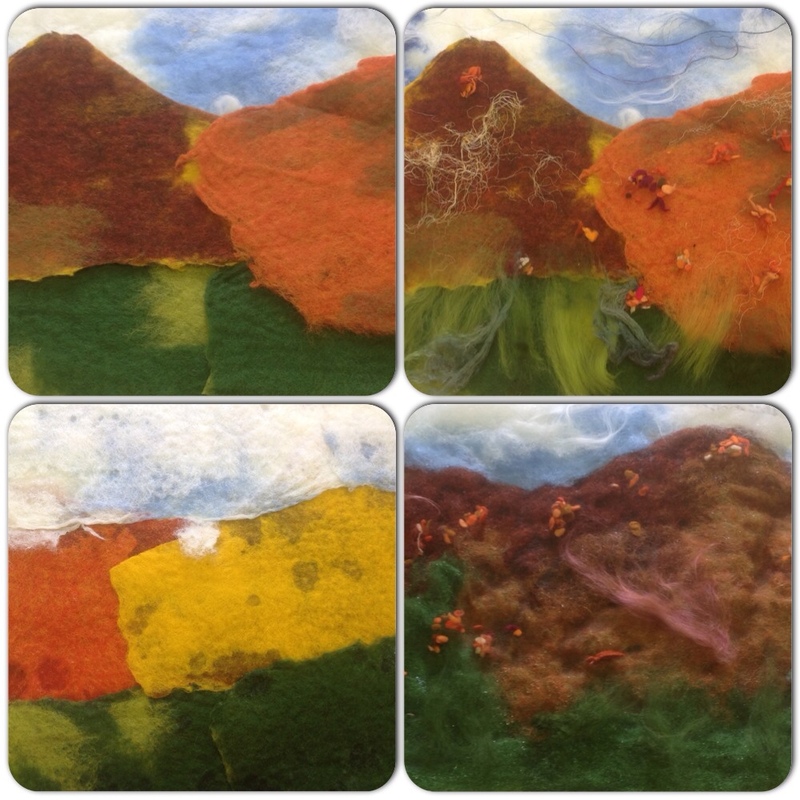 The second collage shows both sides during the felting process. 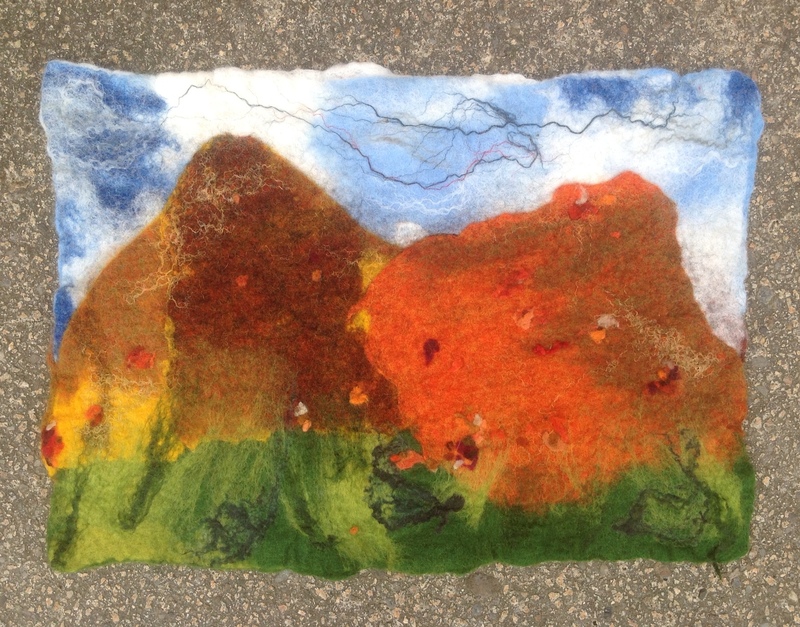 The final picture shows the front of the landscape after felting. Please keep your fingers crossed for me and the children this week that the big picture will come together as easily! 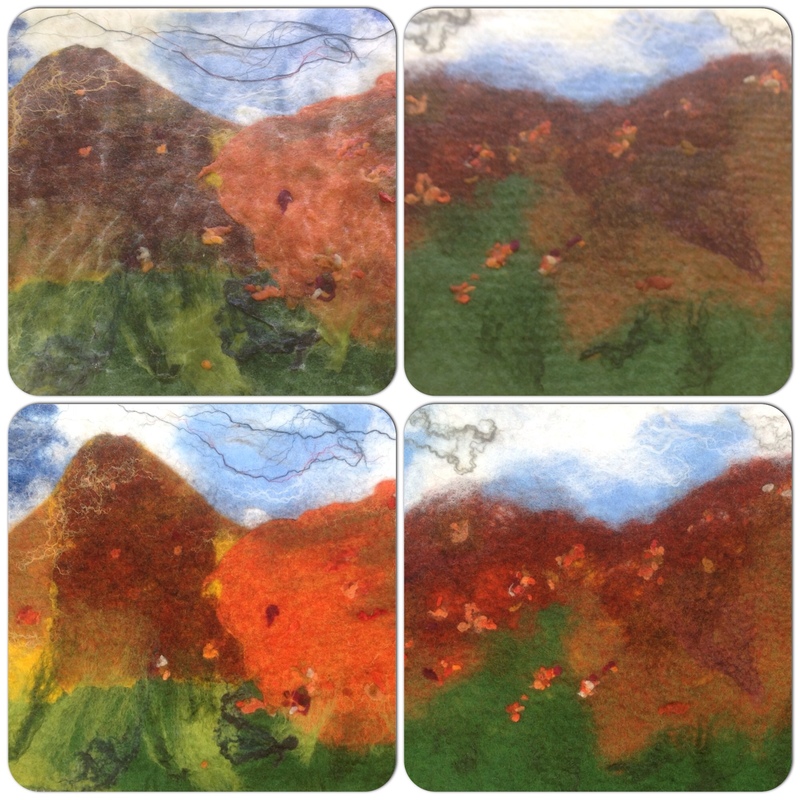 This entry was posted in Felt, workshops and tagged Felt, felt landscape, felt picture, felt pictures, Gaelscoil by Nicola. Bookmark the permalink. What a great project and your sample turned out very nice. I can’t tell you how wonderful I feel it is that the students in Ireland have real working artists coming into the classroom sharing their talents and love for the arts. What a fantastic opportunity for all involved.